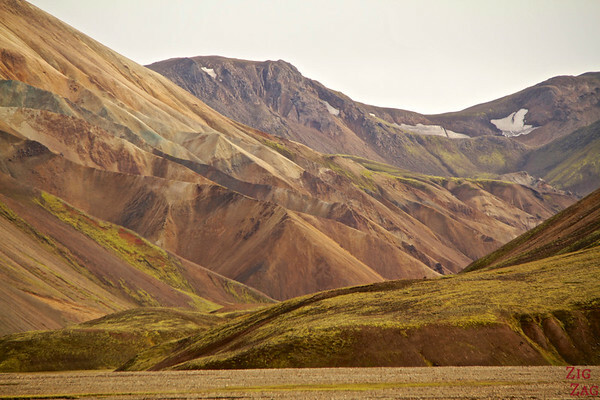 Landmannalaugar Iceland is one of the most iconic landscapes on the island. 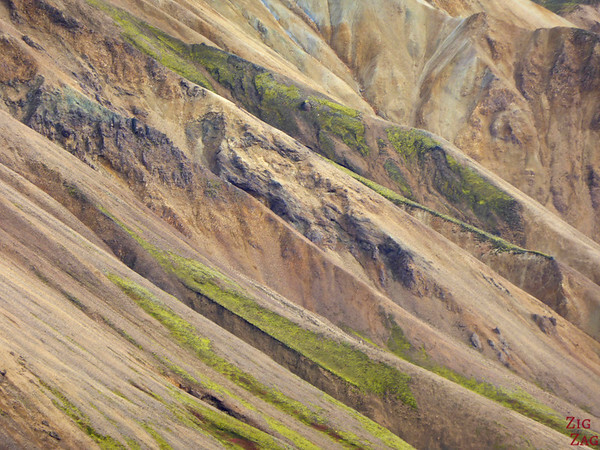 Such painted mountains are a rare sight around the world and the isolation of the location in the Central Highlands makes it even more attractive. This article contains affiliate Links (more info on the Disclo﻿﻿sure﻿﻿﻿ page). 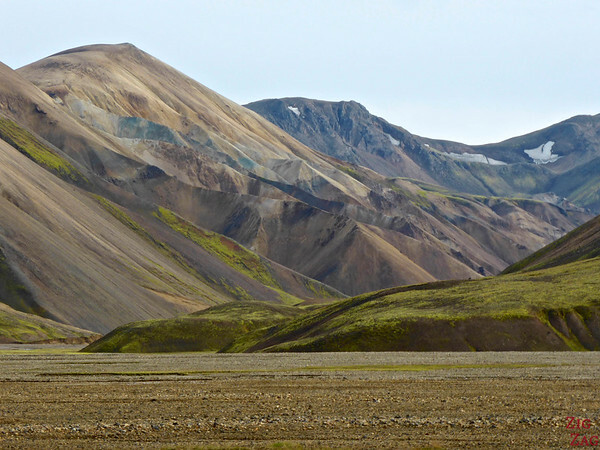 Landmannalaugar Iceland is a remote location in the at the centre of the Central Highlands in the Fjallabak Nature Reserve. It stands at the the edge of the lava field Laugarhaun (flow from 1477). 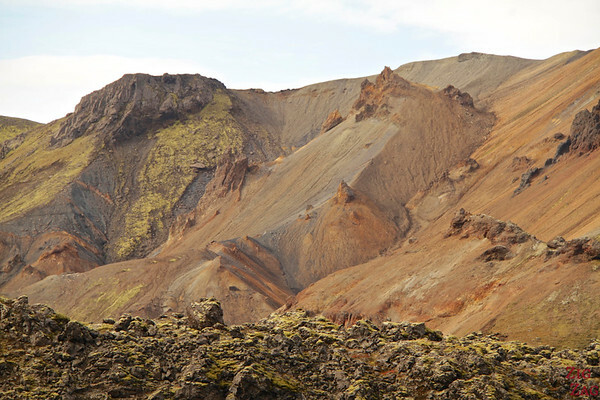 It is the northern end of the popular Laugavegur Hiking trail. The name translates into 'Pools of the people'. At this location you fin a campsite, acoomodation huts and basic amenities. The camp is surrounded by colorful mountains. 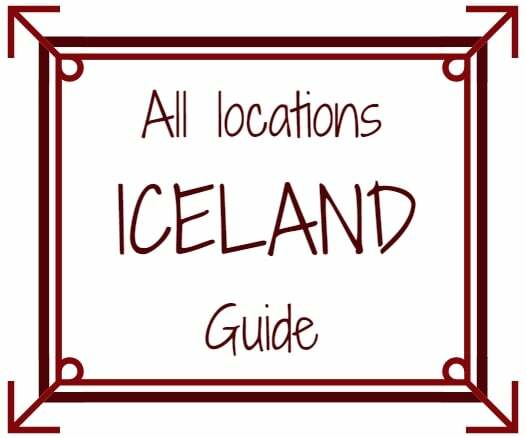 It is also a geothermal area where you can see many volcanic phenomena and bath in warm natural pools. 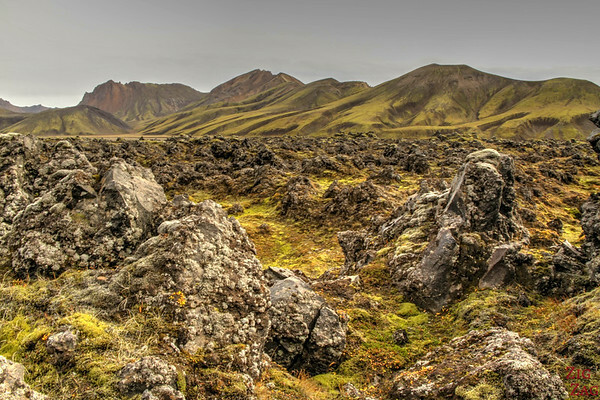 Landmanalaugar is a great place for observing the Northern light on a clear night as there is no light pollution. 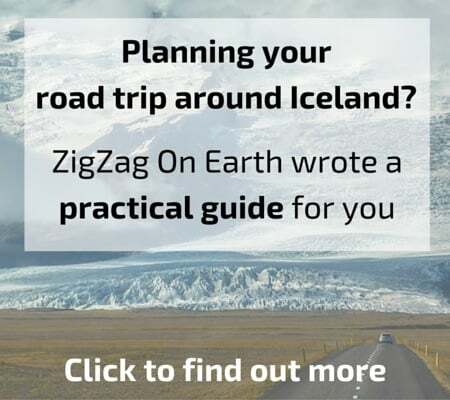 I arrived in Landmannalaugar from the stunning 4WD road F208. I knew we were approcahing as the mountains started showing some red and purple colors. 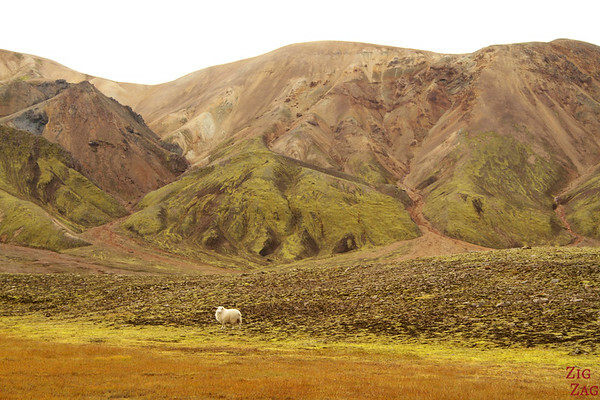 It was funny to find sheeps in such isolated area... 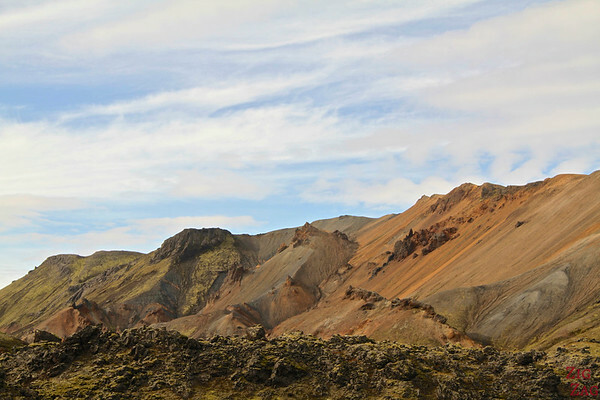 I also drove by a beautiful rugged lava field with incredibly shaped mountains in the background. This was a spot I loved and the pictures don't do it justice. 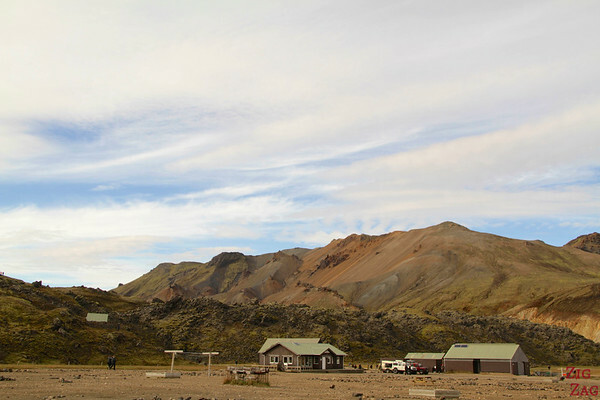 On the photo below you can see the Landmannalaugar campsite with the shower/toilet block and the lava field stopping just behind! 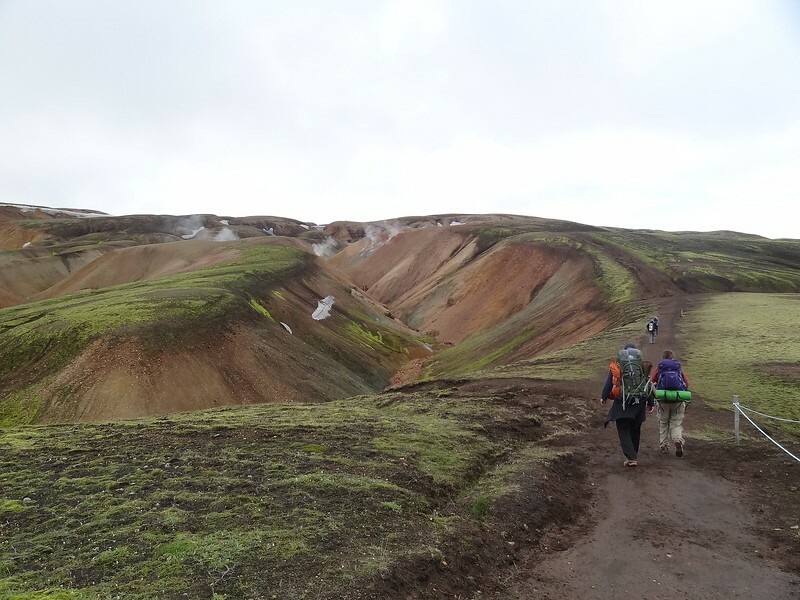 As I was dizzy, I sadly decided against going on a short hike to get to the geothermal pools of the Landmannalaugar hot springs. 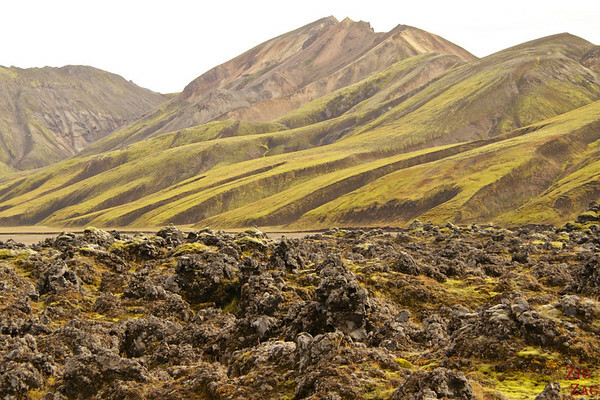 And if you want more you can check the article by Floating my boat about Hiking around Landmannalaugar. 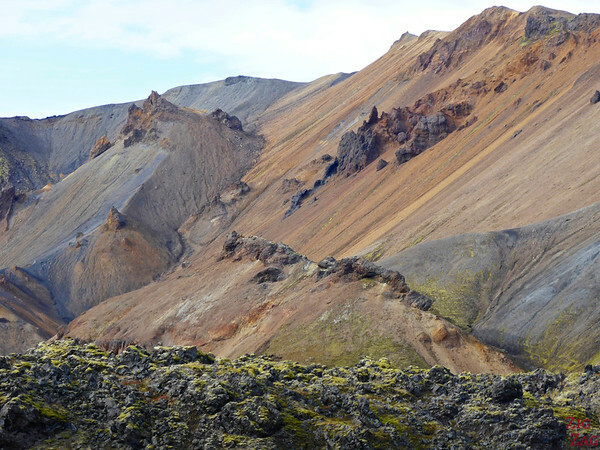 Even if you don't go for a hike, you can observe the incredibly shaped mountains with red, green, purple and dark colors. It is a fest for the eyes. I wish I had stayed the night there.